When you see an advertisement which showcases a body lotion which brings cooling sensation when applied, can you resist? No. I knew! Even I couldn’t resist and as went to the nearest grocery store and purchased. 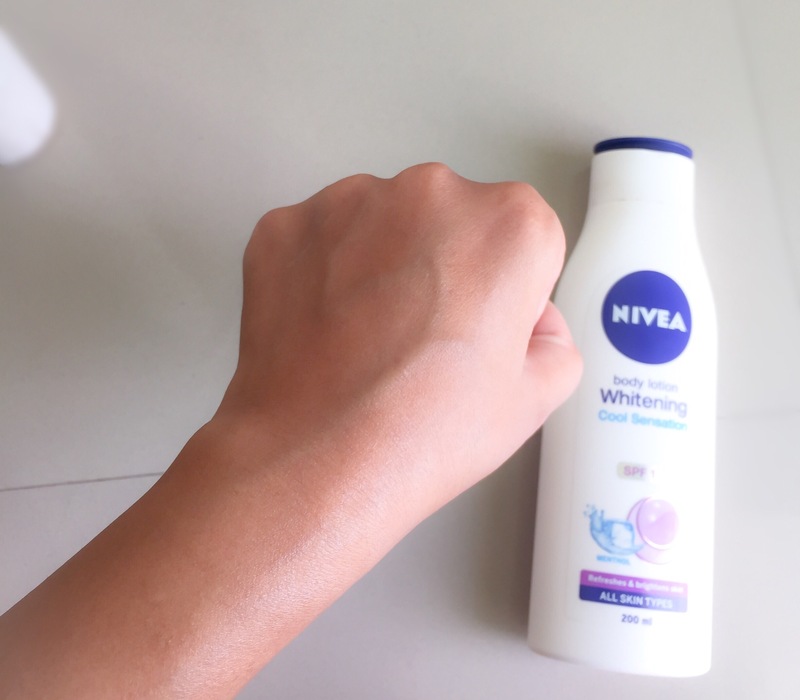 Let’s dive into the review and decide whether Nivea body lotion whitening cool sensation is worth the buzz or not. 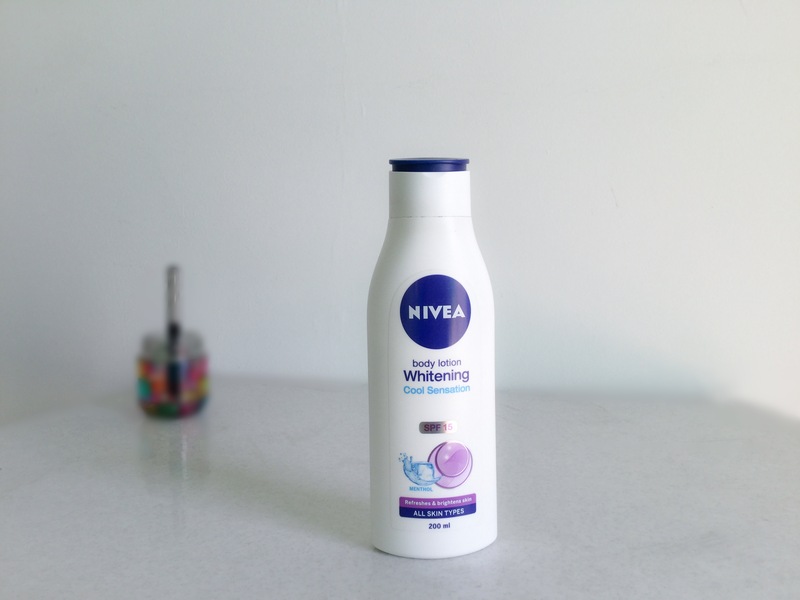 Packaging: Conventional Nivea body lotion packaging. 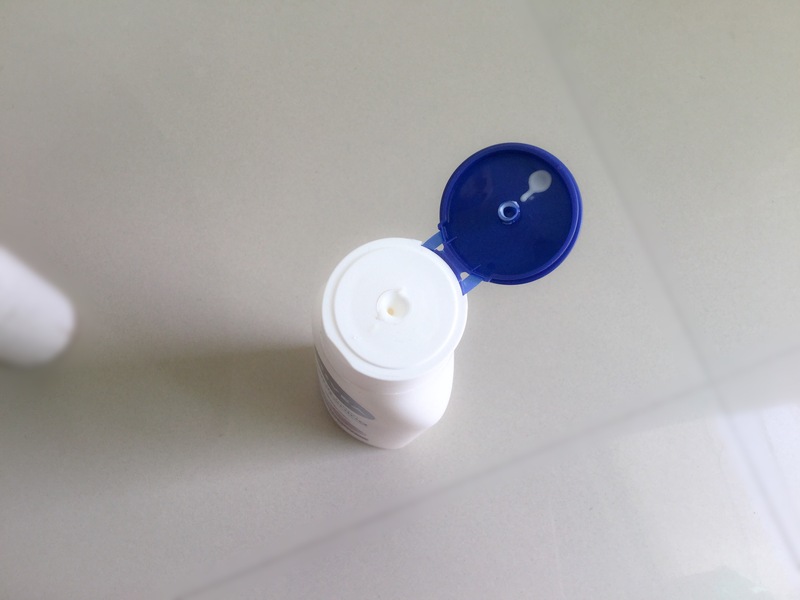 Most lighter variants come in a white bottle with dark blue flip cap. Availability: Nivea products are easily available in shops & pharmacies, also on almost all online stores like Nykaa & Amazon. Texture: It has a light texture, more towards the runny side. The fragrance is also just like conventional Nivea body lotions. The lotion easily gets absorbed into the skin without feeling heavy or greasy. This mentions SPF 15 and I checked up on the ingredient list to find out that it actually contains Octocrylene which is a chemical sunscreen ingredient. The verdict: I am an ardent Nivea body lotion user, especially in winters. But during summers, I always look out for other brands. This time only the cooling sensation made me bought this. I mean if you’ve been using Nivea body lotions, you would not find this much different. I liked this lotion because it is light weight, gets absorbs easily, provides enough hydration, has SPF and doesn’t feel heavy making this an ideal lotion for summers. 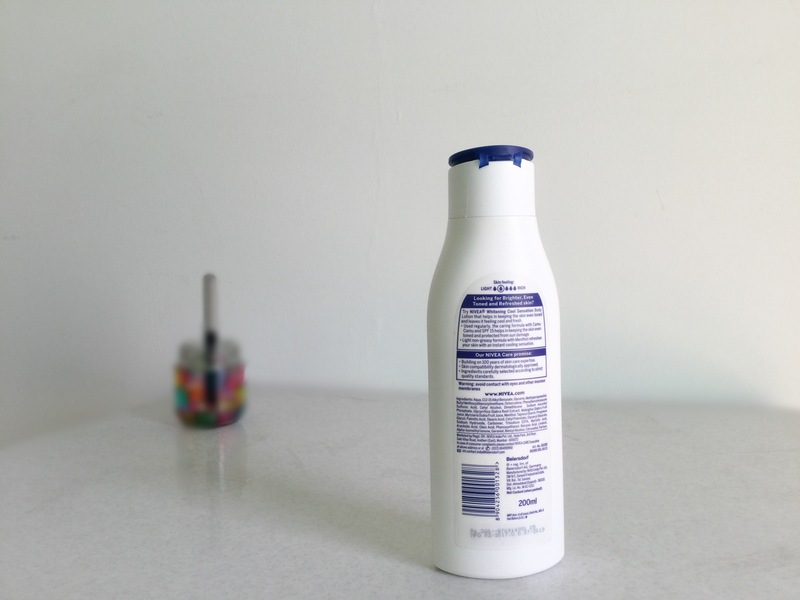 This particular lotion claims to have a cooling sensation. For me, the cooling sensation was very mild and stayed on for hardly a minute. This was a disappointment because I had purchased this lotion specifically for the cooling part. (In the advertisement, Anushka is seen shivering while applying this, I mean, this is an exaggeration to another level). Also, I don’t really care about the whitening part, hence skipped. Anyway, this is a nice product and can be easily given a try without burning a hole in the pocket. Have you tried it yet? Let me know your views. Nice review dear! 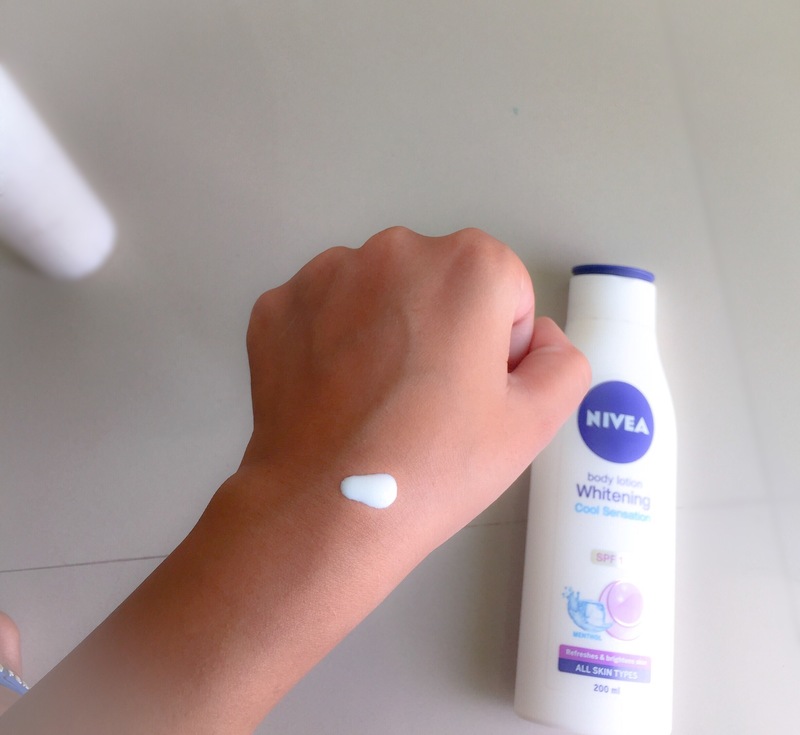 I love Nivea! Nice detailed review…Will try this soon! Bhawna D. recently posted…ShopClues.com – now your personal Fashion Assistant! This reminds me of Hula hula talc 😛 I think that would provide much cooler sensation than this. But great attempt Nivea. Hope it gets better with the cooling part. Nice review dear. I just love how Nivea smells! Lovely review. I just love Nivea fragrance. Very nice review…looking forward to use it.